This entry was posted in "Thanks A Million", Generosities, It's All True, Jazz Titans, Jazz Worth Reading, The Heroes Among Us, The Real Thing and tagged Alfred Lion, Aretha Franklin, automat, baritone saxophone, Benny Carter, Benny Goodman, Blue Mitchell, Brook Benton, Charles Mingus, CharlesMingus, Charlie Parker, Clark terry, Cozy Cole, Dakota Staton, Dan Morgenstern, David Amram, Dill Jones, discography, Donald Byrd, Dottie Dodgion, Duke Pearson, Elvin Jones, Ernie Caceres, Esther Phillips, Eugene H. Smith, Fess Williams, George Mraz, Hank Jones, Harry Carney, Jazz Lives, Jimmy Rowles, Joe Wilder, Joihn Hammond, Jon Lucien, Joshua Breakstone, JOY ROAD, Lionel Hampton, Maynard Ferguson, Mel Lewis, Michael Steinman, Milt Hinton, Oliver Nelson, Pepper Adams, Phil Woods, Philip Levine, Ruby Braff, Rudy Van Gelder, Sonny and Cher, Stan Kenton, Stu Zimny, Thad Jones, Thad Jones - Mel Lewis Orchestra, The Cowsills, The Half Note, The Nice, The Rascals, Thelonious Monk, Woody Herman, Zoot Sims. Bookmark the permalink. Bob spent many hours listening to records with Pepper at his home in Rochester at the times Bob was attending Eastman-they were good friends! 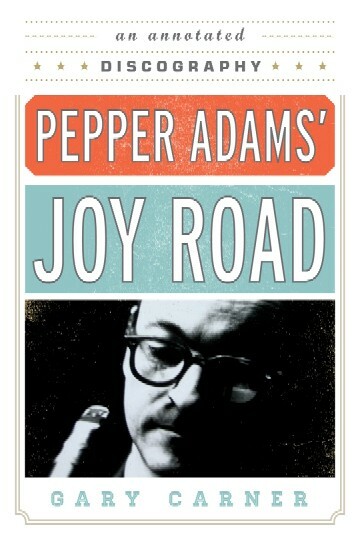 Equally amazing is that you recall the exact date and location of your single “Pepper Adams sighting”. His playing and warm reception by Braff and Friends is also a reminder of how foolish was the strict segregation of musicians into schools and sects by the critics of yore. Monk’s tune with Pepper at his frantic best; I would have liked to have heard it all, but a lump of happiness is better than none at all.of course I loved it as this musical genre is my bag. It will be interesting to see what response you’ll get from your followers, if any. I can’t take credit for total recall: I checked with the great Ruby Braff scholar Tom Hustad (author of BORN TO PLAY) to get the date — but I do remember seeing some fellow with a baritone saxophone who was indeed received warmly.